There may be times in life when you find yourself in need of a lawyer. Buying and selling property, getting divorced or dealing with family issues, recovering a debt, resolving an employment-related issue, or going to court for a criminal matter are a few examples. Many of us don’t actually engage a lawyer until we really have to – after all, they can be expensive. And deciding which lawyer is the right one for you and your particular situation can be daunting, particularly when you are already under significant stress and anxiety. For these reasons, the Law Society of New South Wales provides an online facility to search for lawyers, law firms and mediators across the state. 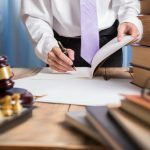 How do I know if my lawyer is reputable? All legal service providers in Australia must hold an Australian practising certificate, which is renewed annually. This is like a licence, and means the practitioner has completed the necessary training, been admitted to the roll of lawyers, has received a practising certificate and agreed to abide by the profession’s code of ethics and conduct. Mediators should also have appropriate qualifications, so make sure you check their credentials. 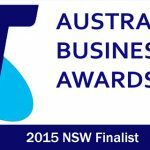 Whether you’re looking for a lawyer or a mediator, it’s wise to check their online reviews, whether they are the recipients of any industry awards, their areas of specialisation – especially whether they are accredited specialists in a particular area of law, and of course their case results. Not only will this provide you with valuable information about the firm’s track record in terms of results and client satisfaction, but it will give you a feel for how they work, the types of legal cases they assist with, and whether or not they’re a ‘good fit’ for you. A law firm’s website is an excellent source of information and you should spend some time doing research before you make a choice. It’s also important that you find a legal advisor you have a good rapport with, so it’s a good idea to consult a few firms before making a decision. Taking advantage of any free first appointment that is offered is a good way to do this without breaking the bank. Do I need an Accredited Specialist? In the legal profession, an ‘Accredited Specialist’ is a practising lawyer who has at least 5 years of experience in a particular field of law – such as criminal law or family law – and has passed a rigorous testing process conducted by the Law Society of New South Wales. Accredited Specialists are the pinnacle when it comes to experience, specialisation and professional recognition, and you should always choose a specialist that is accredited in the relevant field if you can afford to do so. That said, there are firms with accredited specialists which undertake cases for affordable fixed fees, so you will know how much your case will cost from the very start. Ensure that the fixed fee law firm you select actually publishes their prices online, rather than waits until you attend their offices and determines how much money they can extract from you. Law Society of NSW offers a free Solicitor Referral Service, and they can help you to find the right kind of help. The Law Society database contains around 1,600 private law firms, who’ve registered their details, the areas of law they specialise in, as well as any other relevant information. Special criteria can be accommodated, such as lawyers who will make home or hospital or prison visits, or who speak a particular language. How can I access the Referral Service? You can access the Law Society’s referral service by phone by phone on (02) 9926 0300 Monday to Friday between 9 am and 12 pm, and 1 pm and 4 pm. Or you can email a request to referral@lawsociety.com.au. You can also fill out a request form on the website. Remember to provide relevant details with regard to your circumstances and why you need legal help. Also remember to provide your own contact information. Private firms each have their own fee structure, so it’s an important question to ask even before you attend the firm for a conference. 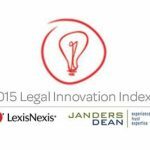 Always look for law firms that offer fixed fees and publish those fees on their website. That way, you can be rest assured that the fee you are quoted is the fee you will pay. If you have a complex case, it may not be possible to obtain a fixed fee. In that case, ensure you understand the cost agreement that is offered to you, and that the agreement is fair and contains a cost estimate. If you can’t afford a private lawyer, Legal Aid NSW provides legal advice for a nominal contribution in some cases. The Law Society of NSW Pro Bono Scheme can also help you to find a lawyer who is willing to provide services free of charge or for a reduced fee. 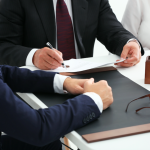 The services can range from legal advice, documentation preparation to representation in court. To be eligible for the scheme, you must have initially applied to Legal Aid for assistance and been refused. Proof of this is required, and all applicants must also undergo a scheme assessment and have a legal matter that holds merit and/or reasonable prospects of success. The type of legal matter that you have must also be covered by the scheme. Cases that are covered include criminal law, divorce and employment law, while matters such as child support disputes, defamation and motor vehicle accidents are not. Can I access a lawyer after hours? Some firms have legal advisors available 24/7. 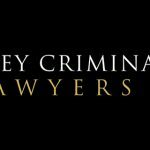 Sydney Criminal Lawyers® is one of the leading criminal law firms in Australia, with a 24 hour hotline on (02) 9261 8881 for those in need of after-hours assistance. The firm offers a free first appointment to anyone who has a criminal or traffic case and is going to court. What if I need to make a complaint about my lawyer? If you have had a negative experience with a lawyer or are unhappy about their conduct, you can always make a complaint to the Legal Services Commissioner, who takes charge of reviewing complaints which may then be referred onto the Law Society of NSW. The Law Society has the power to fine, suspend or even strike-off practitioners so that they are unable to practice law.